CIMAC’s Vice President Axel Kettmann died on Monday at the age of 62 after a serious illness. The association has lost a companion who was extremely committed to the interests of the industry for many years, advancing many important topics. Axel Kettmann, Senior Vice President of ABB Turbo Systems in Baden for many years, always had a pragmatic view of what was feasible, without losing sight of the vision of innovative and clean energy generation. Emission reduction, international harmonization and classification were of great importance to him during his work as board member of the International Council on Combustion Engines. In the recent past, Axel Kettmann was particularly committed to the decarbonization of shipping and supported the idea of a maritime energy transition, championing the establishment of the new GHG strategy group. He was a respected and valued member of the organization; this is a significant loss to the CIMAC family. 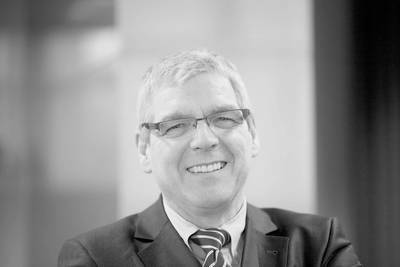 "The years of intensive cooperation were marked by his ideas, his joie de vivre, his wit - it is a great loss that this has now ended so suddenly", says Peter Müller-Baum, CIMAC Secretary General. “Axel has been a strong supporter of CIMAC, helping to shape our organization for many years through his valuable inputs and ideas. We have lost a board member and a friend whom we will deeply miss.” says Klaus Heim, President of CIMAC.